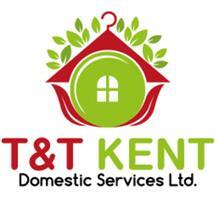 T&T Kent Domestic Services Ltd - Cleaning Services, Garden Services, Landscaper based in Maidstone, Kent. T&T is a family-run business based in West Malling and is currently serving from Uckfield (gardening only) to Maidstone (Tunbridge Wells, Tonbridge, Paddock Wood, Brenchley, Nutley, Bidborough, Southborough, Leigh, Sevenoaks etc.). We have 8 years’ experience in domestic services. Our team is fully vetted, friendly, reliable and hardworking. We are key holders of our clients. We are fully insured. We are in constant communication with our regular clients. For cleaning enquiries call or text Tami on 07588507726.